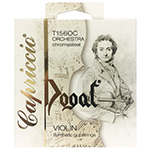 ทำจากเหล็กผสม D Addario Prelude violin strings feature a solid steel core string that is excellent for students and amateur players. 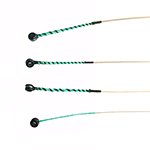 Durable Prelude strings are not affected by temperature and humidity changes. 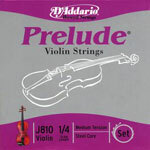 Prelude replacement strings are bright, without the shrill sound of traditional steel strings, and are easy to bow. 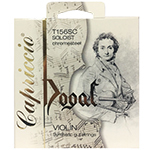 Great for classical, modern, jazz, and country music. 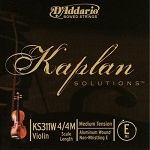 สายไวโอลินสาย E Kaplan Solutions ขนาด4/4 This string not only eliminates the whistling sometimes heard when the open E string is played while crossing from a lower string, but produces a sweet sound that matches the sound quality of lower strings. 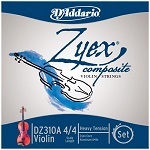 สายไวโอลิน New Zyex Composite Core ขนาด 4/4 Med.Zyex Composite strings are crafted with a new and highly refined configuration of Zyex synthetic core material. This upgraded design allows the player to maintain better control of their tone and nuance, while maintaining a warm, rich tone quality with fast break-in time and excellent pitch stability. 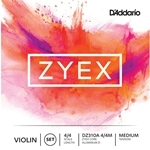 Zyex Composite strings are excellent for use on modern, brighter sounding instruments, as well as a variety of musical styles, from classical to jazz. Full size available in heavy, medium, and light tensions. 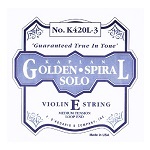 สายไวโอลินสาย E Kaplan golden spiral solo Made with a gut core, Kaplan Golden Spiral strings capture the essence of traditional playing, suitable for classical and modern music styles. 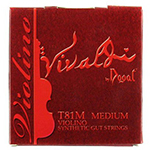 Available for viola in medium tension, long scale (16" and over). 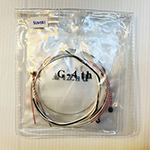 Made in U.S.A.
A - Aluminum Wound over nylon "Synthetic Gut"
D - Silver Wound over nylon "Synthetic Gut"
G - Silver Wound over nylon "Synthetic Gut"